Climate change deniers routinely make the same mistake as the comic above. If a UK cold snap persuades climate sceptics that global warming isn’t happening, then a heatwave must convince them that it is. If a single cold snap in the UK persuades them that global warming isn’t happening, then a single heatwave in the same place must surely convince them that it is. Logic would dictate that the world must now be destined for a century of heating – until the next cold snap, whereupon it is obviously destined once more for a century of cooling. Anyone who uses a single weather event to argue for or against climate change can be safely ignored. They either don’t know what they are talking about, or are being intentionally dishonest. 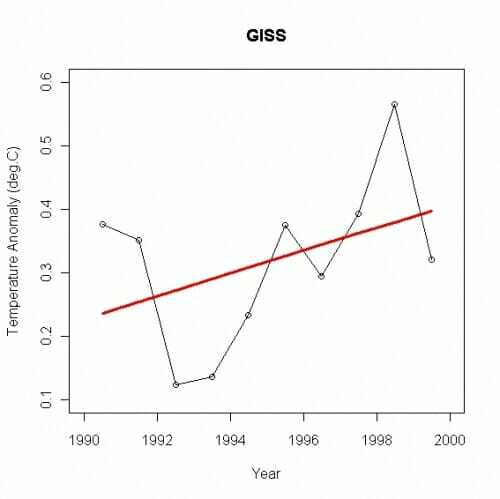 The reality of the climate system is that, due to natural climate variability, it is entirely possible to have a period as long as a decade or two of ‘‘cooling’’ superimposed on the longer-term warming trend due to anthropogenic greenhouse gas forcing… Claims that global warming is not occurring that are derived from a cooling observed over such short time periods ignore this natural variability and are misleading. Tamino over at the always great (though frequently very statistical) Open Mind blog makes the point that when looking at any single decade (take you pick from 1970 to the present), the uncertainties are so great that the from these data we estimate global temperature change as somewhere between rapid cooling and oh-my-god-we’re-all-going-to-fry warming. Or in other words useless. Clearly a decade is too brief a time span to get a meaningful trend estimate; just as clearly the trend since 1970 is — how shall one say? — obvious. The linear regression trend rate is 0.0164 +/- 0.0028 deg.C/yr. 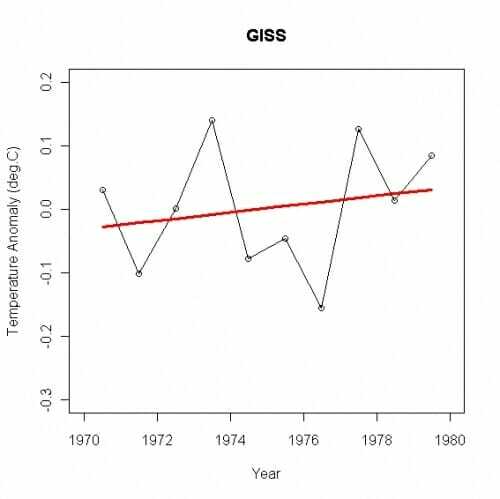 I have good reason to believe that the “turning point” marking the start of recent warming is 1975 rather than 1970, but even with this earlier date the trend is statistically significant. Strongly. And it’s warming, not cooling. 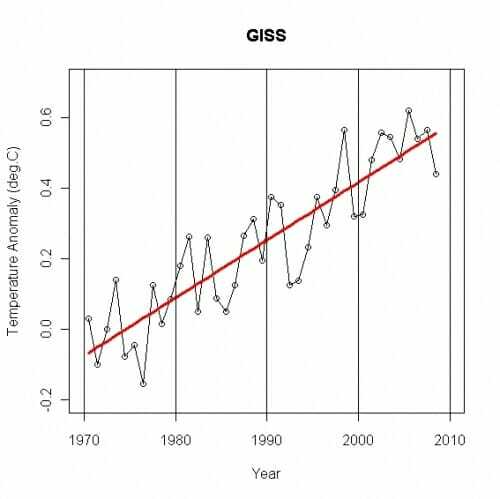 Clearly we shouldn’t base any climate trend on a decade of data. 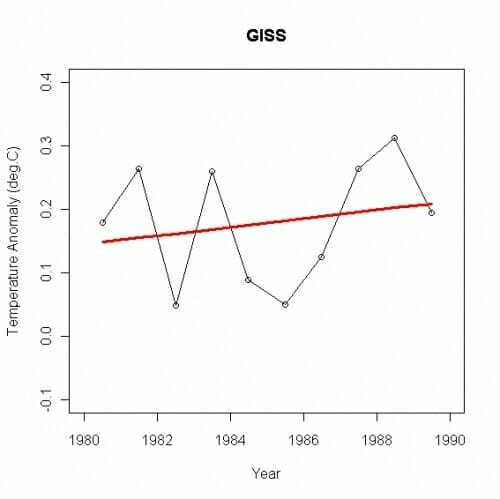 And it is worth noting that temperature aren’t the only noisy data that climate scientists deal with. Sea level, the heat stored in the oceans and the extent of Arctic sea ice, are all noisy data. Since 2006 sea level rise has flattened.Has it? You be the judge: It doesn’t look flat to me. 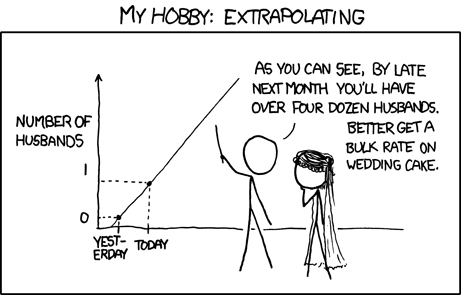 But more importantly it is obvious that these data are noisy. ‘2006 to the present’ is far to short a period to derive any meaningful conclusions. 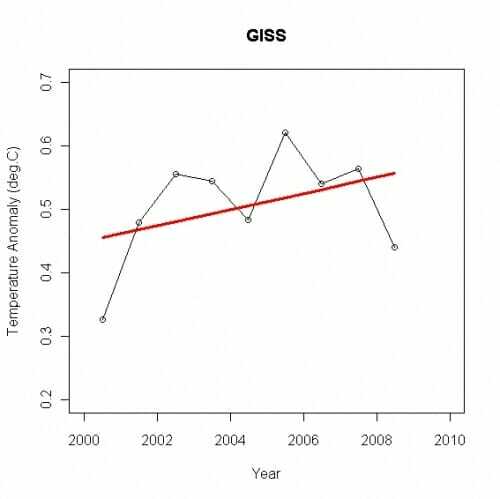 the trend in from 2003 to 2008 in the Levitus data (the Domingues et al data does not extend past 2003), is still positive but with an uncertainty (both in the trend calculation and systematically) that makes it impossible to state whether there has been a significant change. 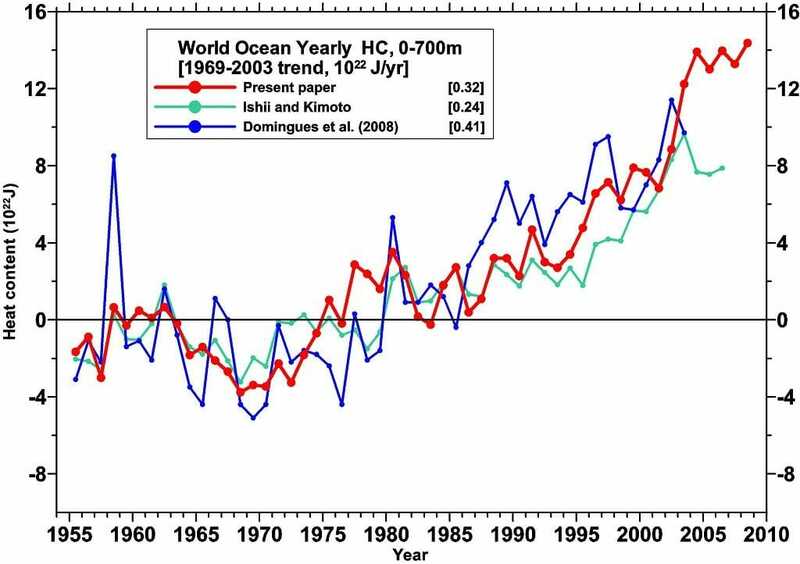 Peilke justifies his claim based on less than one year of data! (the 2009 data isn’t in yet). 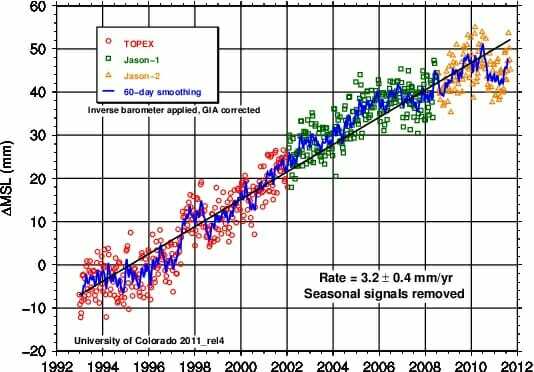 Yet it is plainly clear that even though 2008 had more ice than 2007, it is still well below what is predicted by climate models. This is simply unjustifiable for someone like Peilke Sr. He knows better; he is being deliberately dishonest. Just as the comic at the beginning of this post is absurd, so are attempts by deniers to draw any meaningful conclusions on short timescales (especially when they lie, as Peilke Sr. has done). They both make the same fundamental error.